It ranks as one of the triumphs of medicine, with a backstory taught to generations of school children. The eradication of smallpox, caused by the variola virus, was declared finally eradicated in 1980 by the World Health Organization (WHO), after the last known naturally occurring case in 1977. Smallpox was responsible for an estimated 300 million to 500 million deaths during the 20th century alone, and as recently as 1967 the WHO estimated that 15 million people had contracted the disease that year and two million of them had died. Vaccination campaigns throughout the 19th and 20th centuries led to its eradication, with generations of children taught that it was a vaccine derived from the cowpox virus that led the effort. It was in the late 1790s that Edward Jenner, a doctor in rural Berkeley, in England noted that milk maids, who frequently developed cowpox pustules around their hands, seemed resistant to smallpox. He discovered that immunity to smallpox could be produced by inoculating a person with material from a cowpox lesion. The cowpox virus is from the same family as variola. There are 10 species in all in the genus. Jenner called the material he used for the innoculation a vaccine, using the Latin word vacca for cow. 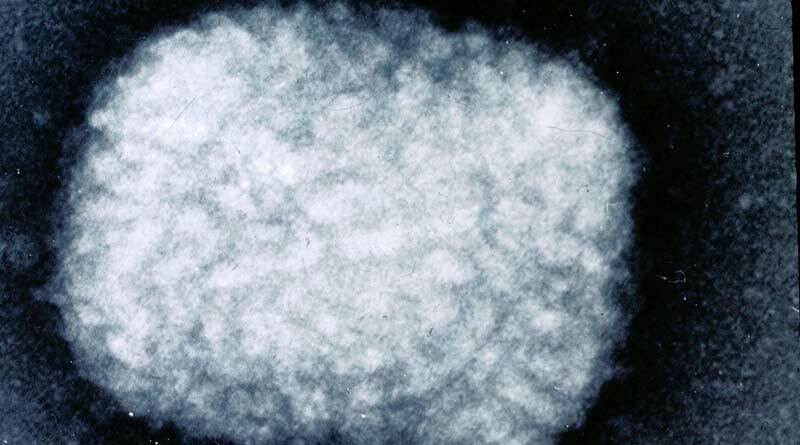 A close relative of the cowpox virus is the vaccinia virus. Indeed, the two were often considered to be one and the same. The most common notion was that vaccinia virus, cowpox virus, and variola virus all derived from a common ancestral virus. The use of Jenner’s vaccine spread rapidly, but production did not adhere to the hygiene and quality-control standards seen in modern medicine. There was contamination – including even the smallpox virus itself – and doctors got their vaccines from a range of sources. It wasn’t until 1967 that the WHO standardized four viral strains for use as smallpox vaccinations − and they were all vaccinia virus. Scientists use what is known as a laboratory strain of vaccinia and its natural host has remained shrouded in time – until now. This week researchers, in correspondence published in the New England Journal of Medicine, have revealed startling insights into the origins of vaccinia virus – reporting that its closest relative is actually the horsepox virus. Andreas Nitsche and his colleagues said that, since the development of Jenner’s vaccine, it has generally been assumed that the smallpox vaccine was based on cowpox virus, even though it has been known since the late 1930s that the virus used to immunize against smallpox, now referred to as vaccinia, differed from cowpox virus. “The true origin of vaccinia virus is unknown, and it is usually described as a laboratory virus without a known natural host,” they said. Smallpox vaccines from many different sources had been used until 1967, they said, when the WHO standardized the four vaccinia strains for use in global smallpox eradication effort, although other vaccines were also used. Nitsche and his colleagues analyzed a smallpox vaccine manufactured for use by the end of 1902 by the Philadelphia company H.K. Mulford, which merged with Sharpe and Dohme in 1929. DNA extracted from the glycerinated vaccine was analyzed and assembled into a genome. “Analysis revealed that the core genome of the virus in this vial of the Mulford 1902 vaccine has the highest degree of similarity (99.7%) to horsepox virus” they wrote. “The results of our analysis of this 1902 smallpox vaccine provide evidence of the suspected role of horsepox in the origin of the smallpox vaccine, a role that was suspected even by Jenner himself. The researchers said the origin of the Mulford 1902 vaccine stock was unknown, but it was probably obtained from Europe, because horsepox was absent from the Americas. As for horsepox virus, it is considered extinct in the wild. It was characterized by eruptions in the mouth and on the skin, particularly around the pasterns. The horsepox virus was not harmful to humans. No true horsepox outbreaks have been reported since 1976. In July, it was reported that researchers in North America had sourced commercially available genetic material to stitch together the horsepox virus. The laboratory achievement was reported in a news story in the journal Science, with the work also mentioned in a release from a pharmaceutical company last March. The recreation of the virus was part of efforts to improve the smallpox vaccine.